Following last year’s SHOT Show we did a review of Sticky Holsters, a relatively new holster that offers a big improvement over standard no-holster IWB or pocket carry. It was tough to find fault with the well-performing affordable holster. It does exactly what it says it will do: place your pistol into the Sticky Holster, tuck the whole contraption into your waistband in your favorite position and at your favorite angle and it stays put and stays comfortable. It does SOB, AIWB or just about anything else you ask of it. Despite it’s nearly flawless operation, we did have a couple of small gripes with certain pistols. Given the relatively generic nature of the holsters (17 models that fit almost all pistols), the fact that they hiccup on some models isn’t the end of the world. The latest update to Sticky Holsters should alleviate the issues we noted in the standard version. The standard sticky holster has some sort of high-friction material on the outside of it that allows it to stay rock solid wherever you put it in your waistband. 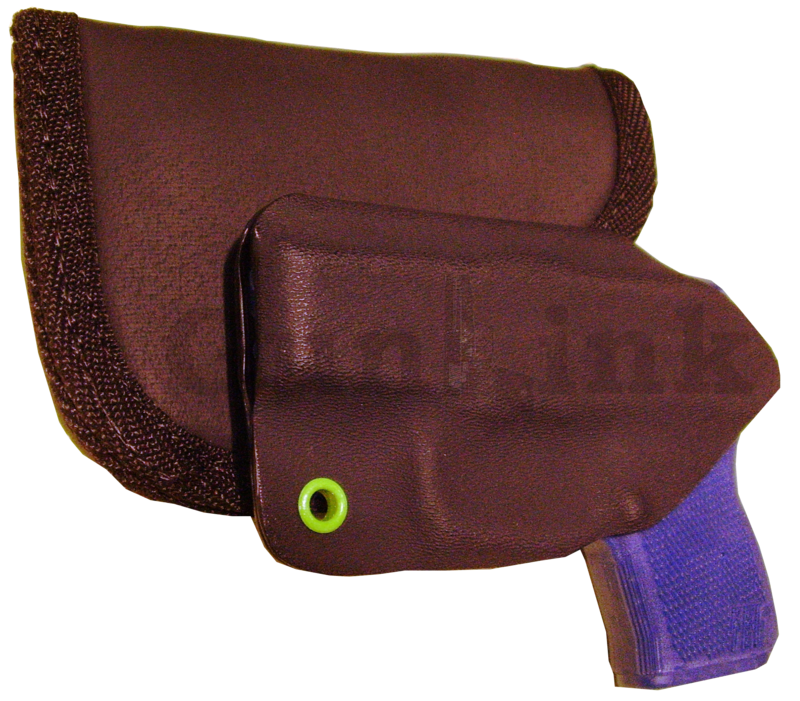 The inner liner of the holster looks like ballistic nylon and allows the firearm to slip easily in and out when needed. Sandwiched between the two is closed-cell foam that molds to your body and your firearm when wearing the holster, allowing the generically shaped holster to provide what seems like a custom fit. This flexibility, while it works great in most cases, can cause issues on certain firearm models such as sight blades catching or magazine releases being pressed as we saw during our initial test. At SHOT Show 2014, Sticky Holsters unveiled a welcome update that retains the flexibility and ease of use from the standard model with the added benefit of a form-fitting Kydex insert. Instead of the ballistic nylon lining, the updated model has another layer of their “sticky” material that holds the Kydex insert in place. Although they have 17 sizes (ranging from the SM-1 model for micro pistols to the LG-6 Long model that accommodates full sized autos) and hundreds of guns from which to create the Kydex molds, some users may have to wait longer than others to receive an updated model. The company is starting with updated holsters for the tiny pocket pistols that are hot right now and working their way up through the line. If you’re looking for a quick, easy way to carry a concealed pistol that is safer than just jamming it into your pocket or your waistband, the Sticky Holster might be the solution you need. 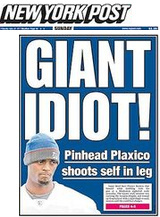 Because, after all, what could go wrong if you stick a loaded gun in your pocket when you head out the door?